I don’t know about you, but I sit at my desk for at least 6 hours a day and I know that when I had a more corporate job, I worked at it for over 10 hours! Lighting the room properly is crucial to ensure you don’t strain your eyes which will cause headaches and fatigue that will then lead to a lack of productivity. I work in a summer house with the blinds down as it is a south facing garden which results in too much heat and light…so I end up needing a desk lamp on most of the time. 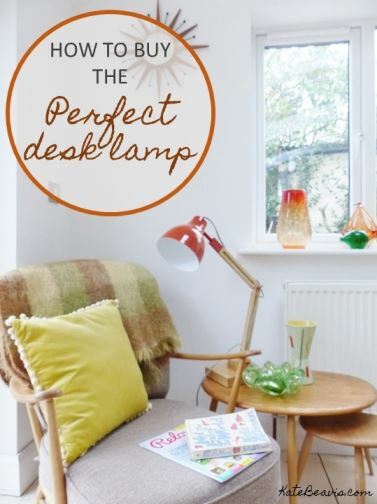 Today I am sharing ten things to think about when choosing the perfect desk lamp either for your office or for a side table to light your space when reading in the evening. 1. 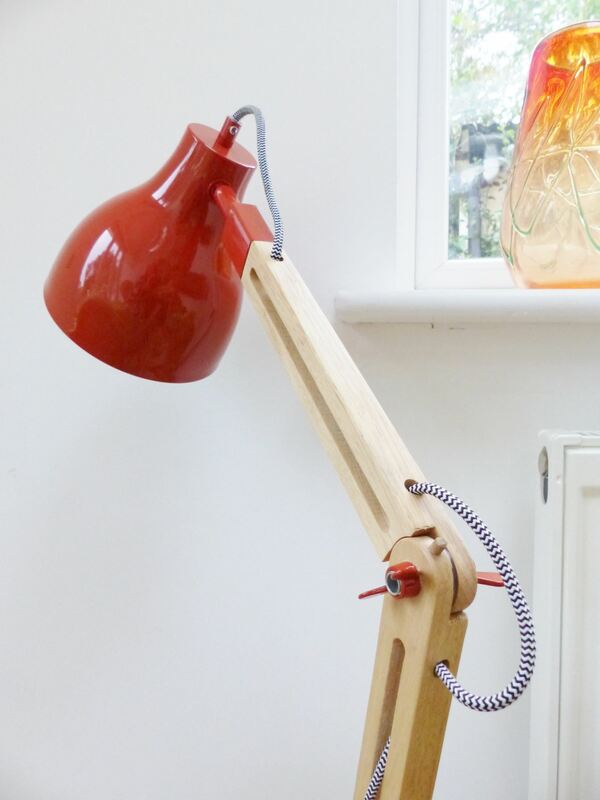 As obvious as it sounds, a desk lamp needs to light your work and not the whole room so you need to choose a lamp that can be angled so it can be positioned and focused where you need it to be. This is called Task Lighting. 2. Make sure the fixings on the arm work well so that when you put it into the perfect position it stays put. 3. Consider how much space you need to be lit. If your workspace is large then you will need a wider shade on your lamp so that the light splays out to cover your papers, computer etc. If you have a small space or need it for reading, then you can choose a smaller shade. 4. 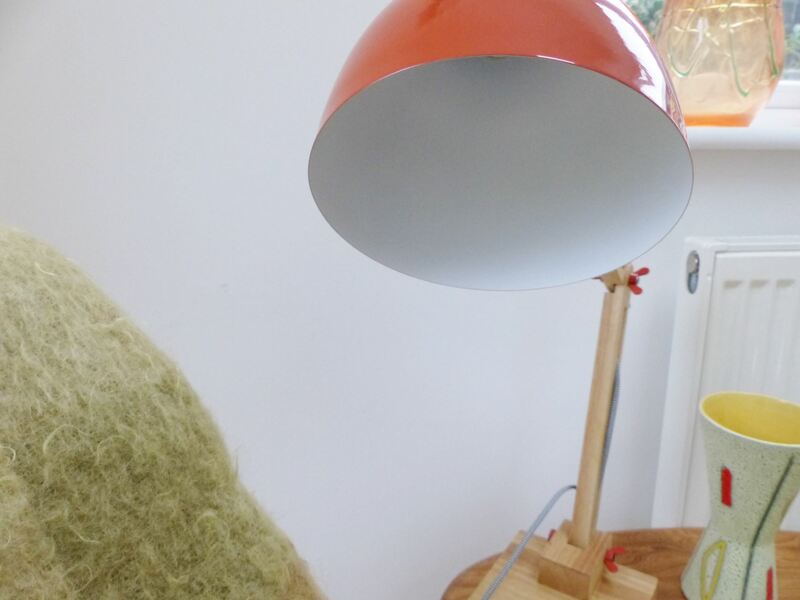 If you have a small desk but need great light think about choosing a taller lamp so it can be positioned above your work yet still light it properly. 6. If your desk is small or already covered in loads of paperwork, choose a clip on light or one with a small base. 7. 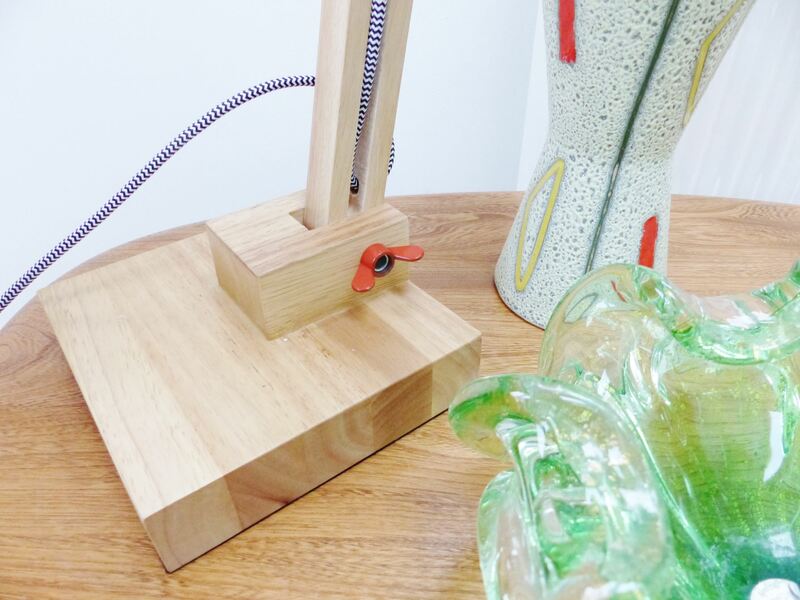 The base needs to be sturdy if you have a heavier stem and shade so that it doesn’t fall over onto your work. It should be weighted ideally. 8. Position the lamp on the opposite side to your writing hand to stop shadows falling over your work. 9. Use an overhead light in your office at the same time to avoid straining your eyes. 10. The look and feel of it is of course so important, especially if you want to be able to use it elsewhere. 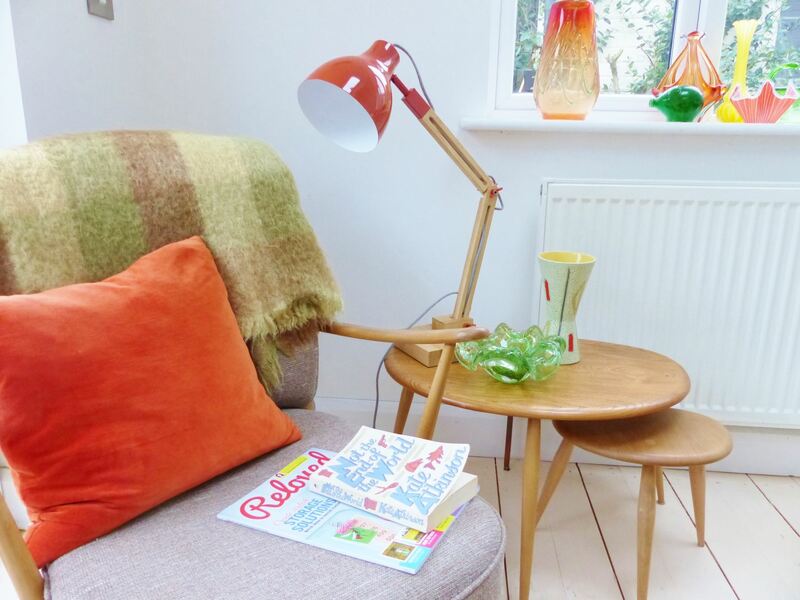 This lamp is from First Choice Lighting and ticks all the boxes for me: it has a retro feel (looks a bit like a vintage Conran one), has a great height, sturdy base, the fixings hold it in place and the shade is the right size for me. I have chosen to keep it in the house as my reading light. Do you like it? Check out some more of our lighting, this time all vintage on this lighting blog post. This is a brand collaboration. Read my disclosure statement for more information.